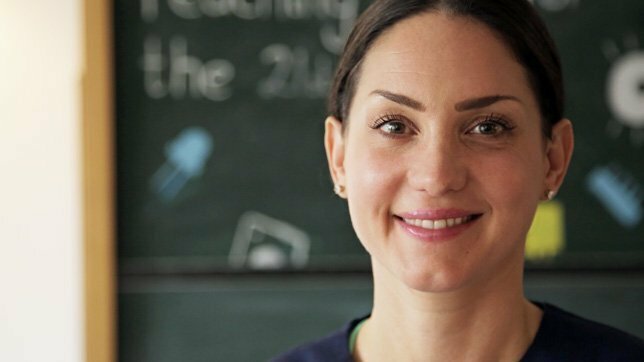 Striving to make every child a Maker - Meet Bethany Koby! Striving to make every child a Maker – Meet Bethany Koby! Kidskintha is back with another Momspiration! This week, on Momspirations, we meet Bethany Koby, co-founder of Technology Will Save Us, a design and education company that has found its way to several top Tech magazines for their ambitious and landmark initiative of providing every 11-12 year old in the United Kingdom with a credit-card sized Micro:Bit computer. The Tech company, founded in 2012 recently entered this massive collaboration with the BBC and 29 other partners, some of whom include Samsung, Microsoft and ARM. The vision is to make Technology friendlier and the company has just taken a massive step towards making every child a maker and doer! Bethany Koby talks to Kidskintha about her journey as an entrepreneur, her inspiration to found the company, her everyday hacks on time-management and what keeps her sane between raising her son and her company at the same time! Hi, Bethany! So glad to have you on Kidskintha. Can we start by talking a little about what Technology Will Save Us is and why you started it? Hi Devishobha, thank you so much for featuring to us, we love Kidskintha! We started Technology Will Save Us back in 2012, it was really in response to a few different things. We found a laptop in our bin and thought it was crazy that someone would throw a working piece of technology away. It really highlighted the role that tech has in our everyday lives and our relationship with it. We don’t really understand it, yet it pervades everything. My co-founder Daniel and I were teaching at the time and were keenly aware of how long it takes for education to catch up with the pace of technology. The maker movement was growing and the world of creative tech tools was on the rise, we felt there was a need for a business that would empower the creator generation and empower parents while inspiring kids to make and be productive with tech in a fun and hands on way. We also had a baby and he was basically born with an iPad. As a parent I wanted more for my son and ways to inspire him to see what he is capable of with technology. What challenges did you face when starting up? What convinced you this will be your niche? We started Technology Will Save Us in my living room when I was on maternity leave, so we know all about the challenges of starting small. One of the biggest lessons we learned was that you have to listen to your audience. It was really important to us that as we grew we listened to our users and we continue to do so! Starting off as a workshop company really helped us get to know our audience, and learn what their needs, fears and behaviours were around technology. It is important to us that we are appealing to the emotional and practical sides of why learning hands on with technology is important to parents and inspiring for kids. We have a user-centred approach to design and development of all of our kits and experiences which is now very much at the heart of our business. Our users inform a huge part of what we do. Did you start out by making DIY products or is it something that evolved over time? We’ve always worked with kits, but we started off as a workshop company, teaching people how to get hands-on with technology. Which was great for us as I mentioned we were able to learn a lot and develop our kits further. 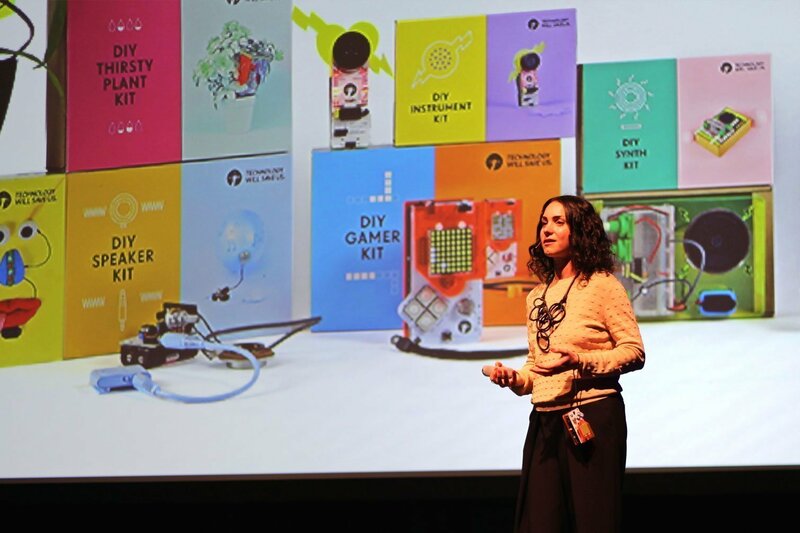 We decided to focus more on making our kits as easy to use without guidance as possible, we want everyone to be making and inventing with technology, not just people who had access to our workshops. I love the idea of Tech DIY kits for children. One of your recent drives is that 1 Million 11-year-olds in the UK will get the free BBC micro-kit designed by your Tech Will Save Us. That’s marvelous. Can you tell us about your journey on this particular initiative? How do you see this impacting the future? Thank you! The Micro:bit is easily the most ambitious and collaborative kit we’ve ever launched and the most ambitious education project that the BBC has embarked on in 30 years. It is a tech tool designed to inspire a generation to learn programming through creating objects in the physical world. It will be given to 1 million young people in the UK in the fall of 2015. Our role in the project was to represent the 12 year old in the design and engineering process. We took the ambitions and interest of young people and placed them at the center of the process of designing the micro:bit with the engineering partners. This allowed us to make difficult decisions around the functionality and the look of this little tool, like making the front of the device the “project” side, looking and feeling more friendly – while the back of the device is the “technology” side and is more didactic and descriptive. This meant that we designed the technology for the end user—not focusing on every possibility but on the core elements that could become the building blocks of great learning experiences. So the micro:bit is a platform designed for young people not a platform designed for engineers. Most importantly it gave this partnership the framework to continually keep the 12 year old at the heart of the project. It was incredible to be working alongside 28 other partners to deliver such an important platform, we were really pleased that even as one of the smaller partners we were able to make such a huge impact on the device. 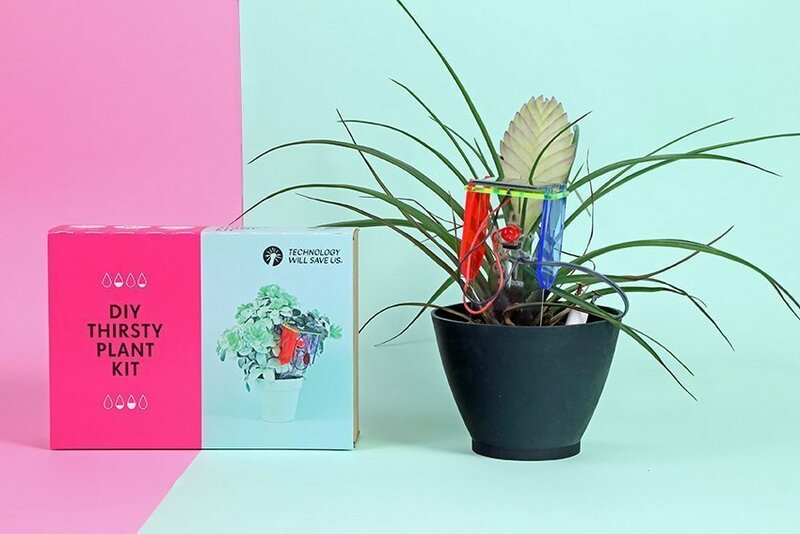 We think kids will invent future jobs based on playing with Minecraft, making thirsty plant detectors in their kitchens and designing their own games controlled by their micro:bits. This is why Technology Will Save Us is focusing on sparking the creative imagination of young people using hands-on technology. Talking about entrepreneurship, one of things that we discuss here at Kidskintha is about balancing the tight rope. Managing time between work and home is a mountain of a challenge-every single day. Can you talk a little about how you do it- manage to do it all and still avoid guilt-trips. What are your best timesaving /productivity hacks? We are really lucky to live about 7 minutes from our studio in Hackney. While I’m not sure you could consider this a hack I have this theory that if you have kids and a business you need a triangle – your house, office and school and they all need to be a cycle or walking distance from each other. This definitely provides the conditions to balance all of these demands. I am sure it is. Traffic can be a huge time-killer and a catalyst for frustration! What does your typical workday look like? Every day is so different, especially in a start up. But I try and have rituals that connect me to what is important and keep me focussed. I stretch every morning! Sometimes with my son..we do a combination of yoga and stretching which helps us be connected to our bodies and release tension. I drink lemon water every morning, which helps balance and cleanse my body before I start what is always an unpredictable day! Then we start each new week with an all team meeting at the Tech Will Save Us HeadQuarters. It’s a mix of sharing around projects and deep dives into data, progress, plans and problems different teams are focusing on. It’s a great way to talk about what we achieved the previous week and plan for the week ahead. Then the rest of my day is a mix of team meetings, interviews (as the CEO I am always recruiting), discussions with our advisors, new business development and time to plan and strategise. Time management is such an enormous part of being able to juggle a fast paced growing business. We have done a great job creating meeting rhythms as a team to keep our time focused. I also am constantly improving my own rhythms to make sure I am spending time on most important things. Saying ‘no’ is a huge part of this. Which apps/software do you use to organise your day? Your favorite to-do list manager? What personal habit do you think keeps you afloat amidst all the stress? What one habit would you recommend other professionals cultivate? – Date night – my husband and I have date night every week where we spend time together doing things we love, movies, dinners, theatre and sometime even the sauna! We are not perfect and sometime miss it BUT this ritual means we generally always have this time to check in with each other. – Proactively creating rituals and rhythms for personal time, meetings and team that allow you to not think about it because you have the right cadence to have confidence in the outcomes. A fellow female entrepreneur, Debbie Wascow, founder of Love Home Swap told me the most transformational thing on a trip to San francisco. She said as a mom, entrepreneur and passionate individual you need to “outsource anything that is not core”…What she meant was you need to decide what is core and what you care about the most as a parent. Do you love bedtime, do you love morning breakfasts, do you love picking up from school…decide really what is important to you and do that well! Everything else you outsource – this can be to your partner, a nanny. These words literally transformed the way I felt about how I was balancing all of these areas of my life and helped me to feel confident, clear and happy with my choices. Of course you will need to reflect and change as things change in your life, BUT outsourcing anything that is not core, is core! As somebody who has walked the path, what’s your advice to other entrepreneurs just starting out. Any tips on how they can approach investors/partners/clients etc? Any pointers to good resources on investor options and information. A lot of what we have done was intuition and my insatiable need to validate and see people I respect and value the ways they have approached business and investment. – Authentically telling ‘your’ story – This is maybe one of the most important things as a entrepreneur and CEO. This journey we have chosen is not an easy road and the path you took to get here is really interesting to your customers, investors, future customers and empties. Know your story and find the way to tell it the best way you can! – Values- Understanding my values and being able to both intuitively and more practically use this to guide the investors we chose to work with, the employees we have in the team and the core values of the business is fundamental to keeping us focused on what is most important. Angels, grants, VC, loans, crowd funding, R&D tax credit…don’t think there is only one ways to get investment and look closely at all of the sources you have at your disposal and use them! – Beware of the wrong – Not getting investment can stop your business but getting the wrong investment can ruin the soul as a business. Another amazing entrepreneur Roland Lamb founder of Roli, told me this and I think this echoes what I said above. Know what you are getting investment for and how this might impact the soul of your business. If there’s one thing you could change for women in the world, what would it be? Woman have a tendency of thinking they have to do everything…we are our worst enemies sometimes…I would love that women would see themselves as constantly evolving and embrace the change and own it – whether that be aging gracefully, or taking leaps of faith with their careers. A bigger thing I would desperately change for girls and woman was access to education. Women seeing their talents, feeling successful could transform countries and nations. We need all girls to have access to find their creativity and potential. A few words on what you like about Kidskintha the most. Kidskintha is such a great resource for parents, from soothing fears to inspiring conversations, and showcasing the latest trends for families. Bethany Koby can be reached at b@techwillsaveus.com. If you are a Momspiration, or know someone who is, please write to us kidskintha@gmail.com. For more inspiration, check out our Momspirations series !